Mila Kunis—love her. Actually, I’m quite jealous of her husband, Ashton Kutcher. Mila Kunis is very beautiful. And very funny. But she just can’t make this “Spy” comedy stinker do anything other than that. First, there was the James Bond story by Ian Fleming, which begat the movie version of the same name, 1977’s “The Spy Who Loved Me,” starring Roger Moore, which begat SNL’s Mike Myers’s “Austin Powers: The Spy Who Shagged Me” (1999), which has now begat “The Spy Who Dumped Me.” What other iterations can they do? “The Spy Who Begat Me,” maybe? 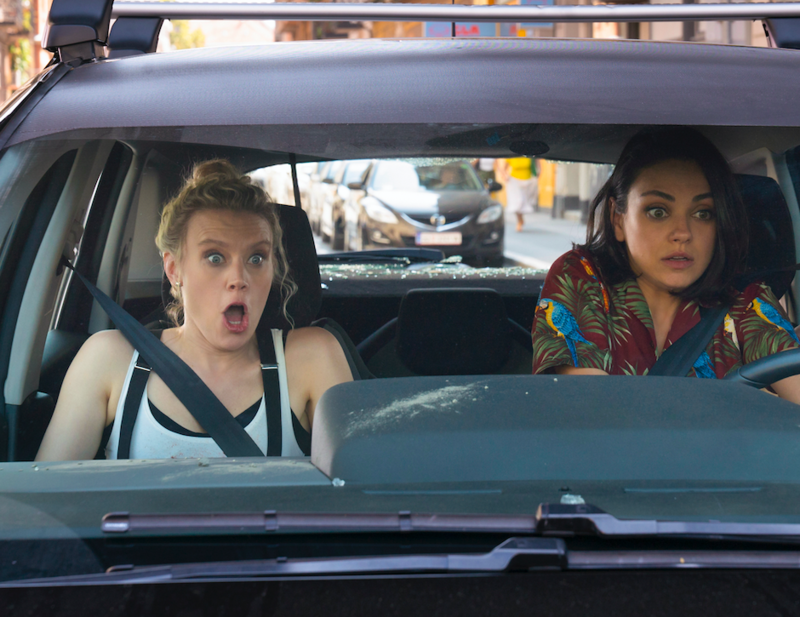 Basically, Mila Kunis and Kate McKinnon play roommates who are sucked into a deadly showdown of spies who are all trying to get hold of a flash drive. It’s all about the flash drive these days, in spy movies. Kunis’s Audrey dates Drew (Justin Theroux), who is not who he appears to be (an NPR podcaster. Yeah, right.) And he dumps her via a transcontinental text. Imagine that. Who does that? CIA agents, probably. Soon, the international whirlwind of conspiracy craziness starts, where the girls do high-speed chases, get tortured, wear disguises, and all that good spy stuff. Actually, I already said what the plot is, real fast like. It’s not rocket science. Kunis is the queen of cute, kind, sultry, gorgeous comedy, and McKinnon is completely insane, in a good way, but their styles don’t quite match, and it’s the director’s fault. These two could have been dynamite together. 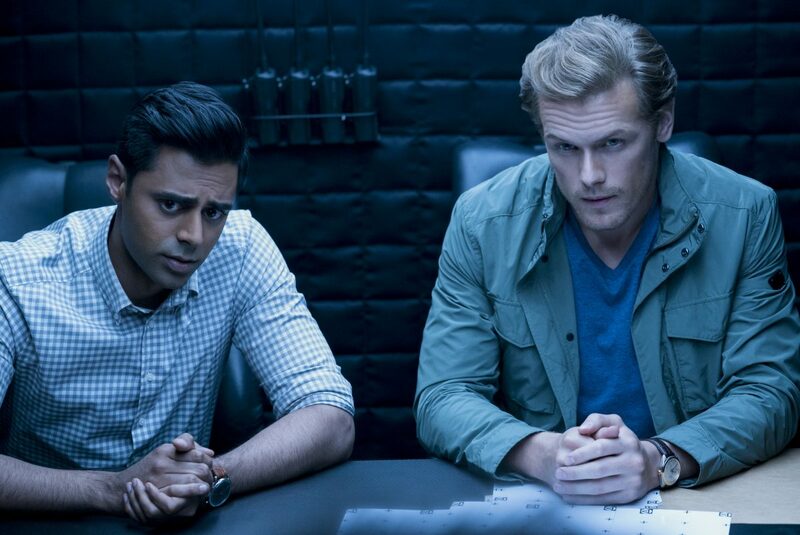 Hasan Minhaj (of “The Daily Show”) plays a smarmy Harvard-alum CIA agent who has a deep need to tell everyone where he went to school, and Sam Heughan (“Outlander”) is his model-looking MI6 partner on this op, who eventually—unconvincingly—romances Audrey. Minhaj’s Duffer harasses the girls and attempts funniness, but his character is too annoying to be anything but annoying. “Dumped” does have one casting coup—Ukrainian actress Ivanna Sakhno plays a former gymnast-turned-assassin, who, while being model-stunning, also carries a ridiculous level of scary, icy menace. On the other hand, comedy elders Paul Reiser and Jane Curtain are completely wasted here. Well, the two gentlemen on my right would beg to differ: They whooped, squealed, shrieked, and conversed with the screen. They complimented me on my beard. That may have been the most fun I had at the movie. But it was interesting, because I found nothing they found funny, funny. However, the lady seated to my left would bust out with a short guffaw every 10 minutes, at the exact same time and place that I would do the very same thing. It was like a strange laugh symphony: “Heeheeheehee!! !” “Ha!” “Heeheehee!! !” “Ha!” Maybe it was more like a laugh-donkey. R-rated comedies have been all the rage for a number of years now, but mostly due to raunchy content. This is raunchy all right, but it’s really the violence that earns it the rating; some of it is shocking and belongs in a much more serious film. Let’s put it this way: This “Spy Who…” puts the macho James Bond to shame in that it’s slightly funnier, and way, way more violent. Should that count for something? No. Somebody, please get a seasoned director who knows comedy, and a better script (the idea, admittedly, was good), and give the two female leads a second chance. They’re both capable of making us laugh till our stomachs hurt. Ashton Kutcher is a lucky guy. And off-the-charts intelligent, model handsome, very rich and famous—and funny. I guess that’s why he’s married to Mila Kunis.